Earlier this year, Motorola announced the second generation Moto G with some significant improvements over its predecessor, but it lacked one thing: 4G connectivity. With the original Moto G, the company did introduce a 4G capable variant of the handset a few months after the 3G version, and it seems a similar thing may happen soon. 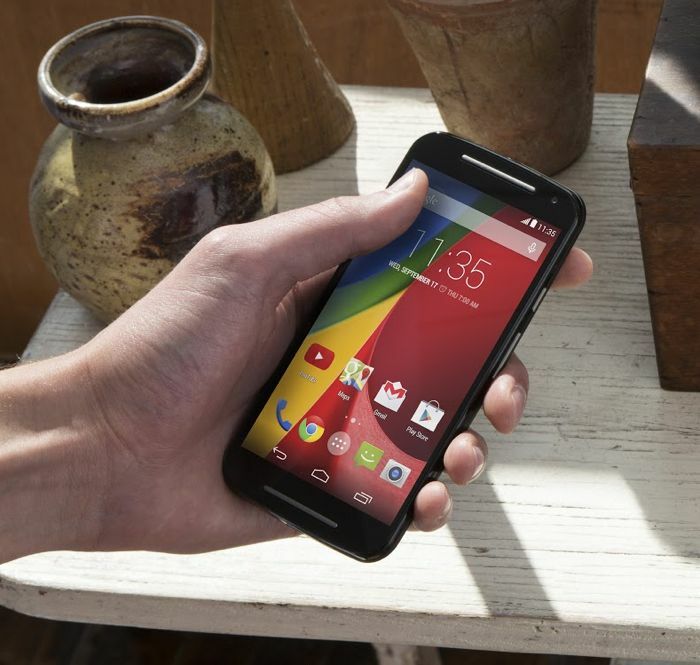 Recently, a 4G-enabled version of the second generation Moto G was spotted on the company’s Brazilian website. If its true, we should expect the handset to hit the retail shelves in the coming weeks — there’s a possibility Motorola may announce it at CES 2015 next week. As far as the specifications are concerned, the handset appears to have a bigger 2,390 mAh battery compared to a 2,070 mAh in the 3G variant. Furthermore, it seems Motorola may bump the storage to 16GB in the LTE variant of the second generation Moto G — the 3G version only features 8GB of memory. There’s no word about the pricing, or if the LTE capable variant will launch in the United States or any other part of the world, we’ll just have to wait for Motorola to officially announce things.